Bulgaria's beauty ambassadors for 2017's Miss Universe and Miss World pageants have been crowned at the crowning event held at Rainbow Plaza in Sofia, Bulgaria on 14th September 2017. 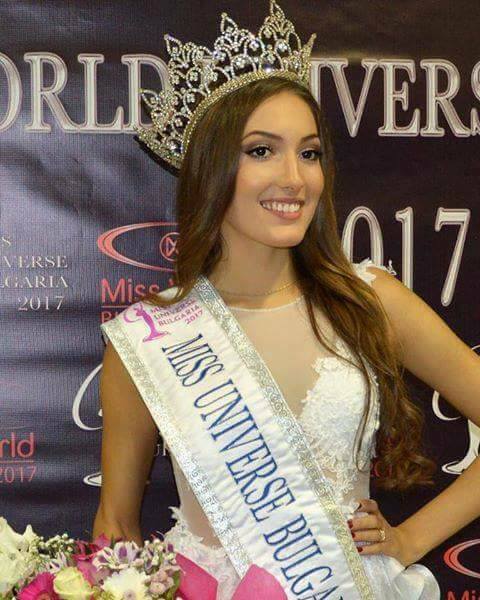 18-year-old Mira Simeonova from Ruse was crowned Miss Universe Bulgaria 2017 and will now compete at this year's Miss Universe competition. This 6-foot-tall stunner inherits the crown from last year's winner Violina Ancheva. At the same coronation night, Ralitsa Kandova took the Miss Grand International Bulgaria 2017 title, while Steliana Ivanova and Vladlena Andreevna were crowned Miss Model of the World Bulgaria 2017 and Miss Seven Continents Bulgaria 2017 respectively.